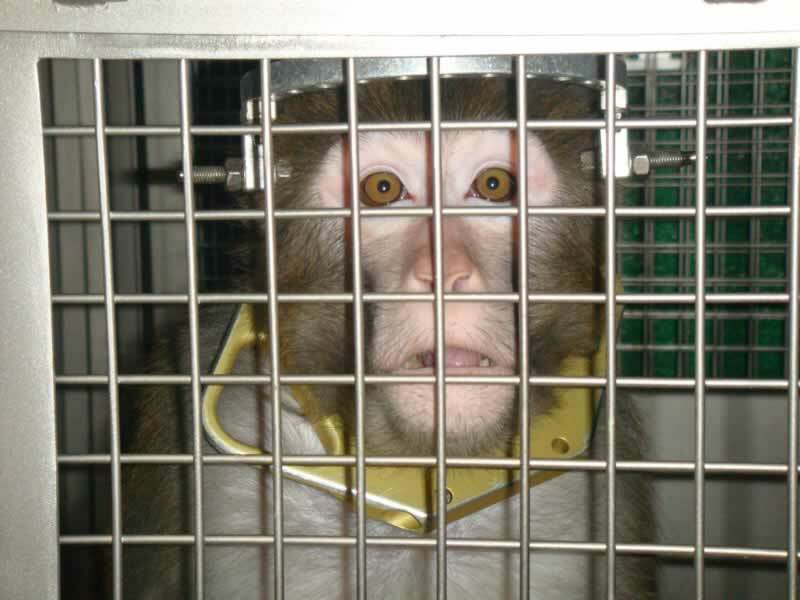 Here's everything you need to know about the use of nonhuman primates in laboratories. You can help end these senseless experiments. The post Inside Primate Laboratories: Loneliness, Pseudoscience, and Cruelty appeared first on PETA. Every year, more than 100,000 nonhuman primates—mostly monkeys—are held in U.S. laboratories, where they’re used in experiments that cause pain and distress or kept in breeding colonies so that their offspring can be used for this abusive purpose. Most of these highly intelligent social animals live in barren, stainless steel laboratory cages for their entire lives—sometimes for decades. Almost none of them make it out alive. As stand-ins for humans to study everything from Alzheimer’s disease to Zika virus infection—even though the information obtained from these experiments almost never applies to humans. And while many of these experiments are federally funded, taxpayers are generally denied access to the high-security floors and dark underground laboratories where the studies are conducted. In many cases, it’s even difficult to pry documents and other basic information out of these publicly supported laboratories. Secrecy is the primate experimenter’s best friend. The most common primate species used in laboratories include rhesus macaques, crab-eating macaques, baboons, squirrel monkeys, and marmosets. The barren steel cages to which these animals are confined are a far cry from the lush forests and grasslands that are their native homes. 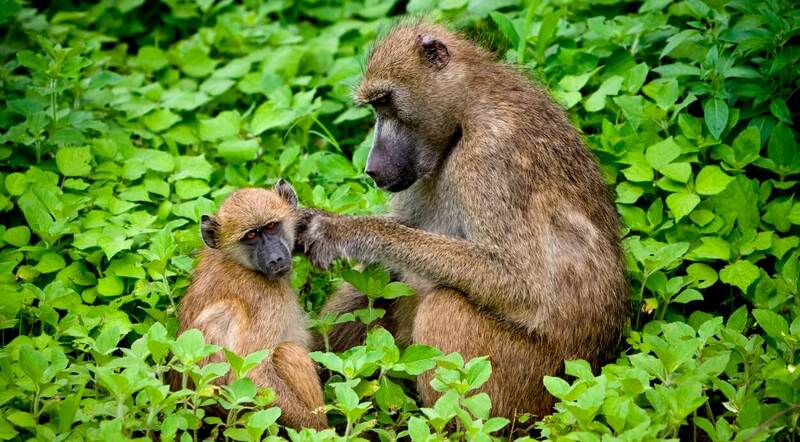 In their natural habitats, these monkeys may travel for miles, foraging for a variety of foods, socializing with family and friends, and engaging in various other activities—such as climbing hills, swimming, swinging from vines, scampering across fields, caring for their babies, and cavorting with their companions. It’s no surprise that primates experience high levels of stress, anxiety, frustration, and fear as a result of these impoverished living conditions. Many go insane, exhibiting behavior such as rocking back and forth, pacing their cages endlessly, and making involuntary, spastic movements. They even engage in self-mutilation, including tearing their hair out or biting their own flesh. 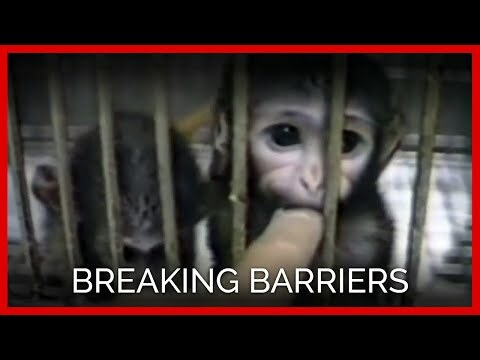 The primate-experimentation industry’s own research has found that 14 percent of monkeys who are isolated in laboratory cages self-mutilate so severely that they require veterinary care. 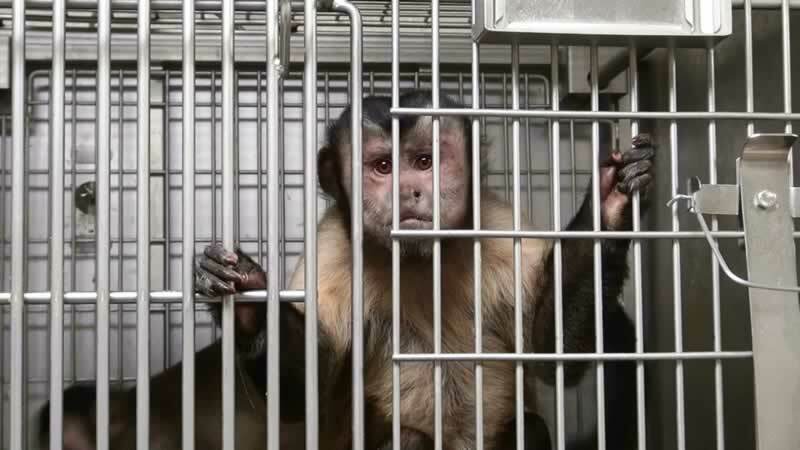 In the U.S., primates are used in laboratories operated by research universities, contract testing facilities (including Covance, Charles River Laboratories, and Shin Nippon Biomedical Laboratories USA), pharmaceutical companies, and government agencies—including the Department of Defense, the Food and Drug Administration, the National Institutes of Health (NIH), and the Centers for Disease Control and Prevention. NIH’s network of primate centers was first established in the 1960s with the goal of establishing “flagship” primate laboratories to help serve the broader animal-experimentation industry. All seven of these facilities have large in-house breeding colonies and use thousands of monkeys for breeding or experimentation every year. Despite receiving hundreds of millions of tax dollars in funding from NIH, all seven are also notorious for committing chronic violations of federal animal-welfare laws. Many are currently (or were recently) under investigation by the U.S. Department of Agriculture. An eighth center—the New England NPRC at Harvard University—closed its doors for good in 2015 following a “series of high-profile revelations of monkey deaths at the center”—including the deaths of 12 monkeys by dehydration. 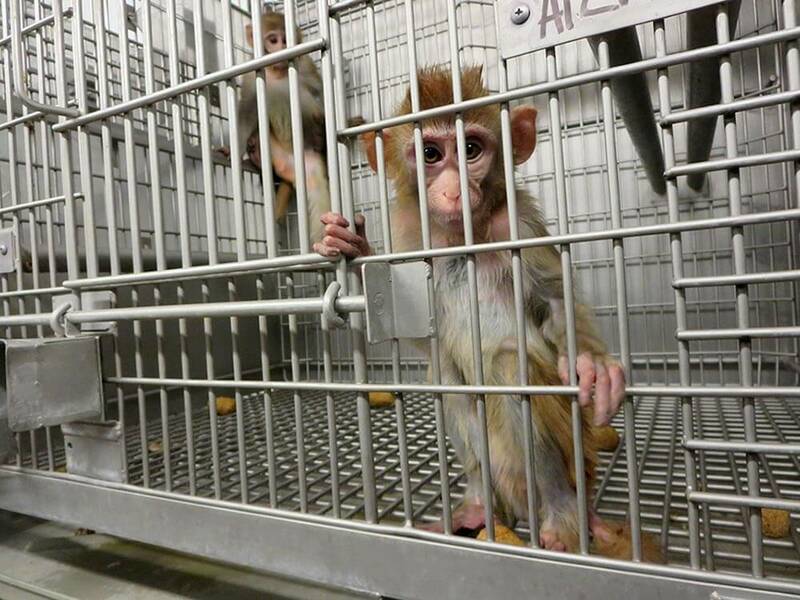 While some facilities breed monkeys to use in experiments, others import them from overseas, where they were bred in squalid monkey factory farms or stolen from their families in the wild. The animals are crammed into small wooden crates and transported in the cargo holds of planes for as long as 30 hours. Companies like SNBL, Charles River, and Primate Products, Inc., import thousands of monkeys by air every year before they’re shipped by ground to U.S. laboratories, where they’re tormented in experiments and killed. Primates suffer tremendously in all these facilities as a result of neglect, incompetence, and a culture of disregard. 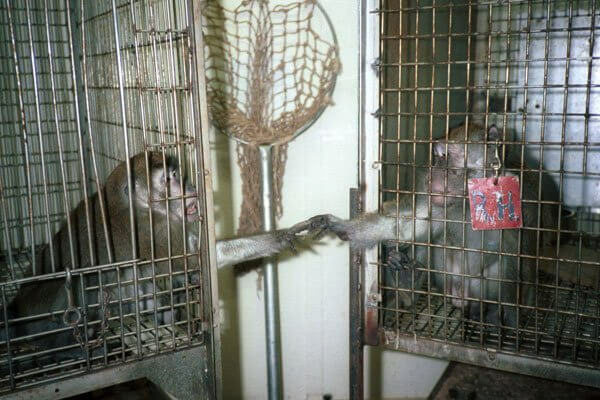 Two monkeys stretch their arms through the bars of their cages, desperate for social contact. PETA has been exposing abusive and deadly experiments on monkeys since our first-of-its-kind eyewitness investigation of the Institute for Behavioral Research (IBR) in Silver Spring, Maryland, in 1981. Experimenter Edward Taub severed monkeys’ spinal nerves, rendering one or more of their limbs useless, and tried to force them to use the impaired limbs with painful electric shocks and starvation. That groundbreaking investigation and the intense public outcry that followed led to the closure of IBR, the nation’s first criminal conviction of an animal experimenter for cruelty to animals, the first confiscation of abused animals from a laboratory, and the first U.S. Supreme Court victory for animals used in experiments. In 1984, PETA obtained video footage shot by University of Pennsylvania (UPenn) experimenters in which they subjected baboons (some inadequately anesthetized) to traumatic head injuries—and mocked them. We shared the footage with members of Congress and the media, and we amassed scientific and veterinary critiques of the experiments in order to garner wide public support. PETA also held numerous public protests and a sit-in at NIH. Responding to this pressure, the agency conducted a review of the experiments and released a scathing report that concluded that there was “material failure to comply” with federal guidelines governing the treatment of animals. 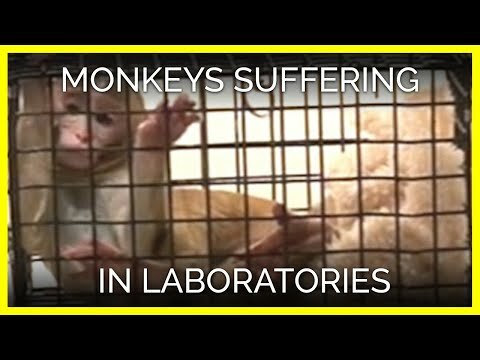 Soon after, the Department of Health and Human Services cut off the laboratory’s funding, ending the experiments. In 1985, anonymous activists rescued an infant monkey named Britches from the University of California–Riverside. He had been taken from his mother hours after birth and placed alone in a stainless steel cage. Experimenters sewed his eyes shut and attached an electronic sonar device to his head that let out a constant screeching sound. After five weeks of this deprivation, the monkey shrieked erratically, displayed total body muscle spasms, and desperately clutched at his body. 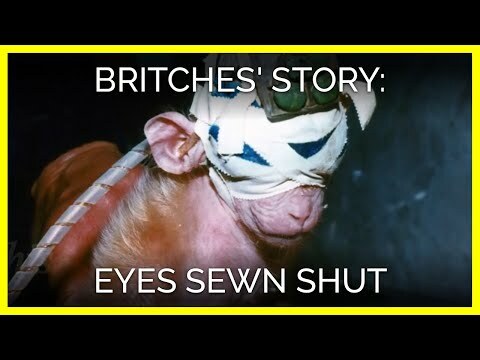 But his rescuers nursed him back to health, and Britches was eventually transferred to a sanctuary, where he was adopted by a monkey mother and spent the rest of his life in a comfortable, naturalistic setting. The experiment was never resumed. In 1986, PETA obtained video footage revealing abysmal conditions inside a Maryland laboratory called SEMA (now known as BIOQUAL, Inc.). 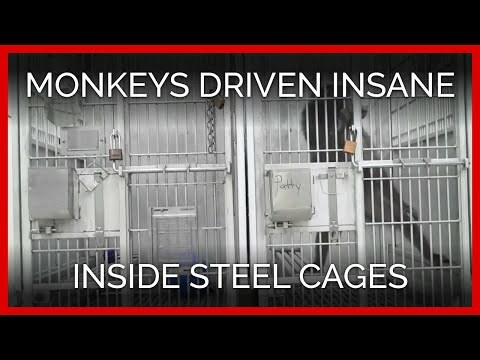 Baby chimpanzees were locked inside tiny steel boxes in complete isolation and exhibited signs of insanity, rocking incessantly in their dark cages. The misery of the chimpanzees held by SEMA is documented in PETA President Ingrid E. Newkirk’s landmark book Free the Animals. PETA sent the footage to famed primatologist Dr. Jane Goodall, who shared the video with “every potentially sympathetic friend and colleague she could think of” and later wrote a scathing piece in The New York Times Magazine about the facility, titled, “A Plea for the Chimps.” PETA’s and Goodall’s efforts eventually paid off. In 2012, BIOQUAL finally ended its use of humans’ closest living relatives, hastening the demise of the use of chimpanzees in experiments. In 2010, the U.S. was the last industrialized country with laboratories that continued to use chimpanzees in invasive experiments. Roughly 1,000 chimpanzees—humans’ closest evolutionary cousins—were used in experiments in which they were intentionally given diseases and infections such as HIV, hepatitis, cancer, respiratory viruses, malaria, and heart disease. They were also subjected to painful biopsies and frequent “knockdowns,” in which they were traumatically shot with a tranquilizer dart gun. NIH was funding the experimental use of chimpanzees at SWNPRC, YNPRC, the University of Louisiana at Lafayette New Iberia Research Center, and the University of Texas MD Anderson Cancer Center. Over the years, NIH faced increased criticism for funding experiments on chimpanzees. In response to growing pressure, the agency commissioned a report from the National Academy of Sciences’ Institutes of Medicine (now known as the National Academy of Medicine) on the scientific necessity of using chimpanzees in experiments. In December 2011, the long-awaited report was released, which concluded that “most current biomedical research use of chimpanzees is not necessary.” And a 2013 NIH report confirmed that experimentation on chimpanzees is unnecessary and further noted that “research involving chimpanzees has rarely accelerated new discoveries or the advancement of human health for infectious diseases.” In light of this damning evidence, NIH announced that it would cut funding for chimpanzee experiments. In 2015, the agency announced that it would retire all federally owned chimpanzees to sanctuaries, although this retirement has been frustratingly slow. This announcement also followed a decision by the U.S. Fish and Wildlife Service to classify all chimpanzees as “endangered,” effectively ending invasive experiments on members of the species. For decades, NIH funneled millions of dollars into experiments on chimpanzees that the agency now acknowledges were a colossal failure and a waste of resources. The lengthy process that ultimately ended the use of chimpanzees exposed several flaws in the U.S. animal experimentation system. If these experiments were “not necessary,” why were they ever approved and funded to begin with? And if experimenting on the species that’s closest to humans genetically has failed to provide insights that lead to cures or treatments for human diseases, we can scarcely expect that experimenting on other primates—with whom we share less genetic similarity—or other animals would provide beneficial insights. 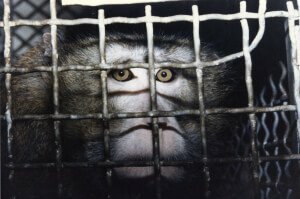 From the cruel experiments on the Silver Spring monkeys at IBR to the UPenn head injury experiments on baboons to NIH’s abhorrent maternal deprivation experiments on baby monkeys, PETA has successfully ended some experiments on primates—but it’s time that we ended primate experimentation once and for all. With your help, we can sweep the practice into the dustbin of history, where it belongs. I do not think so. This is just a human style, in all its glory. It is guided by humanistic principles that people exploit animals. After all, all this is done for the benefit of man and mankind. Violence and torture of animals in order that the "Peak of Evolution" lived well. Also do not agree with this. Such torture and animal experiments, as a rule, are completely legal. Criminal are attempts are to stop it. It is based on the humanistic principles of the constitutions of modern states. @spacedream, i can not speak for human and human's norms, i do not identify myself that way. I define myself as a hominid. A "homo sapiens" specie - my close relatives, as well as gorillas, chimpanzees and orangutans. But speaking about people, as i observe them from the side, yes, eating other animals is an absolute cultural norm for many human populations (even in spite of the fact that people, like all other hominids, has the digestive system is different from that of predators or scavengers, animal meat is poorly absorbed by people, but they still eat it, a matter of taste maybe). but what about you? you do support eating animals? Yes, part of animals: i like eating invertebrates meat, but i do it rarely, i do not catch them myself, i eat it, if somebody offered it to me. The same goes for fish roe, i don't like fish meat, but i like caviar. Also, for about 10 years i had practicing exclusively lacto-vegetarian diet. But for several last years i have been eating eggs. Fertilized eggs of my chicken dwellers, they do not mind to share them. I do not eat bird meat. After a 10-year lacto-vegetarian diet, i had one year when i ate and drank everything that was offered to me, without refusing to anyone. But at some point i decided to stop it practice and again refuse from some offers (alcohol, mammalian/bird/fish flesh - basically what i usually has to refuse - all this is poorly absorbed by my digestive system). I hope i answered to your questions in detail. Any more questions?